There is growing interest in re-connecting urban residents with nature, but most conservationists want to work in pristine areas, and most urban areas are considered too degraded to rank high on conservation priority lists. Bringing Conservation to Cities is a timely and informative exposé of what it takes to foster a conservation ethic in a major urban area—complete with critical lessons learned—and to simultaneously inspire and develop the next generation of urban conservationists. The book explores the new urban conservation frontier, with its numerous challenges and opportunities, and fosters more urban conservation initiatives throughout the world. John H. Hartig is an award-wining Great Lakes scientist. He was a 2017–18 Fulbright Scholar at Balsillie School of International Affairs in Waterloo, Ontario, and currently serves as a Visiting Scholar at University of Windsor's Great Lakes Institute for Environmental Research and the Great Lakes Science-Policy Advisor of the International Association for Great Lakes Research. 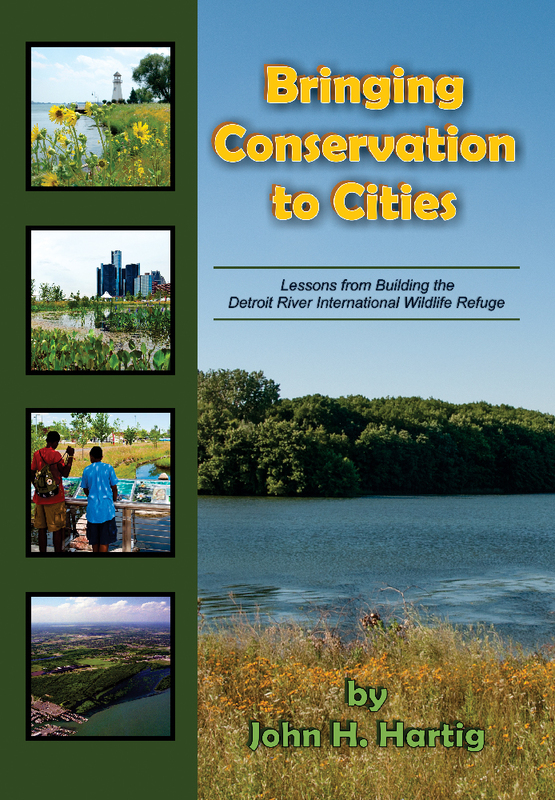 Hartig's book Bringing Conservation to Cities: Lessons from Building the Detroit River International Wildlife Refuge won a gold medal from the Nonfiction Authors Association's Nonfiction Book Awards in the Sustainable Living category and a bronze medal from the Living Now Book Awards in the Green Living category. ARTICLE: MLIVE on "Bringing Conservation to Cities"